“The ecology of Roman trade. 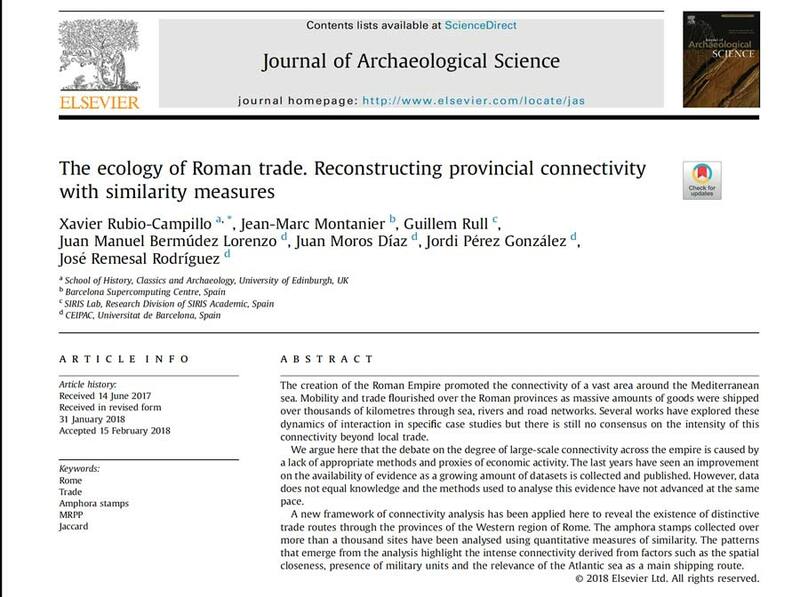 Reconstructing provincial connectivity with similarity measures” by Xavier Rubio-Campillo, Jean-Marc Montanier, Guillem Rull, Juan Manuel Bermúdez Lorenzo, Juan Moros Díaz, Jordi Pérez González, José Remesal Rodríguez. EPNet researchers team.